Registering your domain name is as important as choosing a relevant name for your business. Not only is it an asset, but also a very important first step when building a website to support your business. Selecting a domain should be a process that is carefully considered and well thought through. We’ve put together a list of guidelines to help you choose your domain name. Search engines will recognize the word and properly categorize your website in those searches. If you want to rank on search engines, this is step in the right direction. It easily explains your business to potential clients. They are easy to remember and spell. The shorter and easier your URL, the more likely clients are to remember and re-visit. Many times companies run into trouble registering their first preference because it has already been purchased. In this scenario, do not simply add more words onto your original preference, but re-think from the beginning. It is good to approach this process with a number of options that would make you happy and represent your company before you sit down to register your domain. 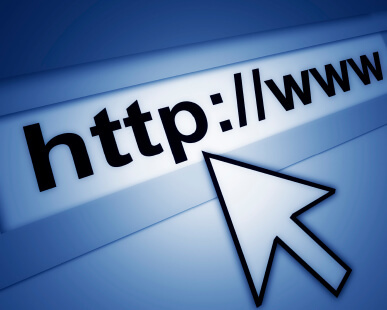 The shorter and easier your URL, the better. Try to include the word “investigations” for search engine optimization (to rank within Google) if you can. Do not include “inc”, “corp”, “corporation” or “LLC” in your domain. Do not use acronyms as there are a number of meanings. Do not use all or part of a competitor’s name as it may be a trademark infringement. Do not use hyphens (even though we’ve broken this rule ourselves), numbers or misspelled words. The URL www.billsdenvercoloradoprocessservingandinvestigations.com might be descriptive of your business, but it is way too long and wordy. Think of www.billsinvestigations.com or www.denverinvestigationsfirm.com instead. Your Domain Extension: .com, .net, .biz, .org? We cannot stress this enough: .com, .com, .com. There is temptation among people registering domain names to register .net or .info if their first choice has already been registered with .com, but our recommendation would be to modify your URL so you can choose a .com extension. Not only is it preferable, but it makes your business more legitimate in the eyes of the consumer. There are a few more things you should consider when registering a domain name. If you register a generic URL, you should also register your business name and have that URL pointed to your website. It might be an added expense to register additional domains, but doing so allows you to maintain control of your business entity; you wouldn’t want your competition to purchase and sit on that domain would you? Register all extensions of your domain. If your domain is www.nyprocess.com, you should also own the .net, .info, .org and .biz versions. Register your domain for the maximum allowed time. This helps you in two ways: 1).Search engines look kindly on people who have long contracts on their domains. 2). It will help you maintain control over the domain. To get started registering your domain, visit Red Hat Domains. Lawgical Sites for private investigators could be the perfect solution for your web woes. Lawgical Sites provides professional, affordable designs for private investigators (and also process servers). Check out the available private investigator websites, or call (888) 997-4669 to talk with one of our marketing consultants about getting set up with a site. Follow these suggestions if you can, but our marketing consultants are always here to help guide you through the process. Give us a call at (888) 997-4669 if you’d like some help.